There are several types of limes, all of which I want to grow. There are tiny Mexican Key limes, wrinkly Kieffer limes, sweet limes, and edible peel limequats. 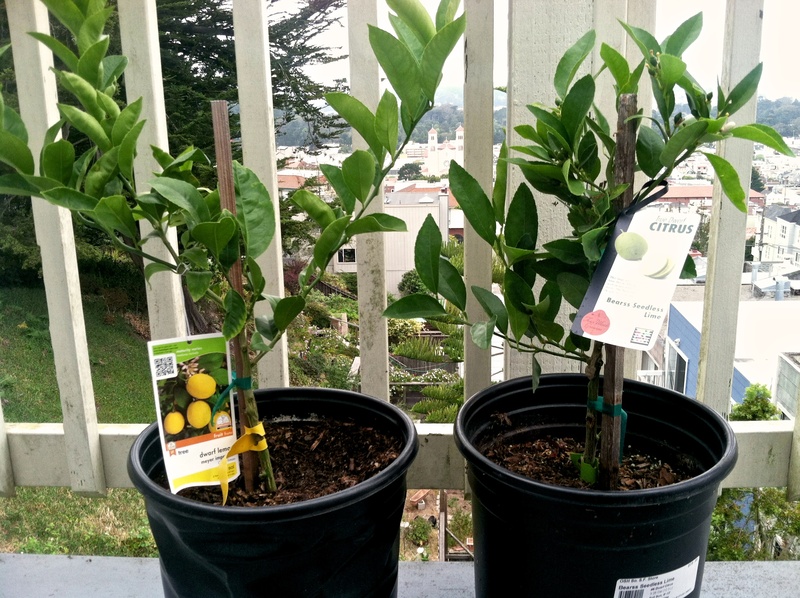 Since I only have room for one lime tree, I chose the one I use most often: Bearss Seedless Lime. Bearss Seedless is a Persian type lime, the one commonly found in grocery stores. It is large, juicy, and fabulous in all kinds of drinks and desserts. A home-grown lime has the same look and flavor as a commercial lime, but I find that my limes are much juicier. 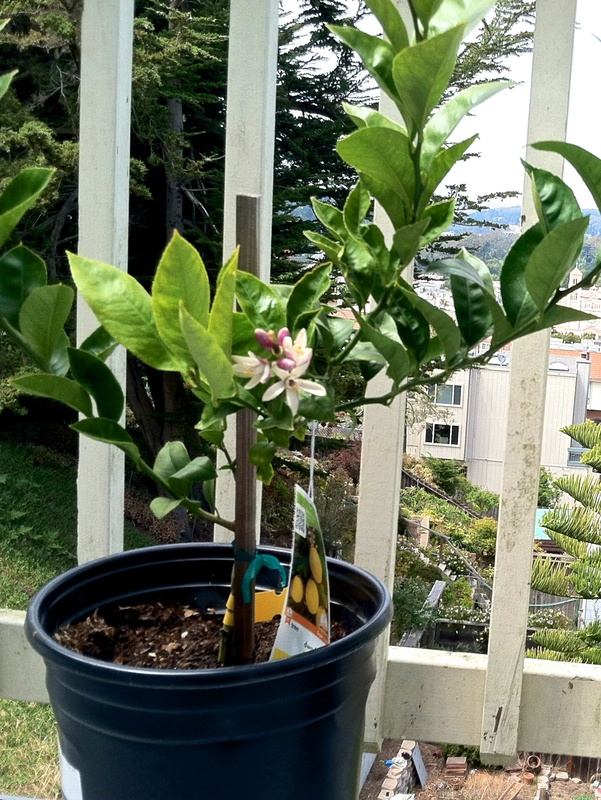 This lime tree has, so far, been the easiest plant I have ever grown. I water it about once per week in mild temperatures, and I fertilized it twice with a handful of GrowMore Vegetarian 5-2-2 organic fertilizer. The tree is thriving, and has already produced several ripe limes! As an avid gardener and cook, I like to learn as much as I can about fruit and vegetable varietals. When I encounter an interesting fruit, I want to learn its name so I can find it again and grow it myself. But even if you’re not someone who looks through huge beautiful piles of heirloom tomatoes hoping to find one very special Black Krim, you will notice a flavor difference between a Meyer lemon and a standard lemon. Meyer lemons are smaller, less sour, less acidic, and darker in color than the more classically available Eureka lemon. The peel is thin and edible, with a very aromatic zest. Unfortunately their delicate nature makes them difficult to ship, so unless you live in a warm citrus-growing place, they may be a rare find in your local market2. However, Meyer lemon trees grow well in containers, so you can grow one even if you live in a colder agricultural zone.